Berlin, April 28, 2016 – Native Instruments today introduced QUEENSBRIDGE STORY – a new MASCHINE Expansion created by one of New York hip hop’s biggest producers, Havoc. The samples in this expansion were curated by Havoc himself and span his nearly 30-year career. QUEENSBRIDGE STORY is aimed at producers looking to tap into the classic sound of one of hip hop’s living legends. QUEENSBRIDGE STORY runs in the latest MASCHINE software on MASCHINE STUDIO, MASCHINE, or MASCHINE MIKRO and is available exclusively at the NI Online Shop. A compact version for iMASCHINE is also available via the iMASCHINE in-app store. QUEENSBRIDGE STORY traces the career of legendary producer Havoc – the man behind the sound of Nas, 50 Cent, Notorious B.I.G., and many more. Each sample was carefully selected for the expansion by Havoc from his personal sample library. The kits and instruments he compiled deliver a gritty blend of hip hop’s second golden age and a new-classic style heard on the records of some of hip hop’s most prominent artists. Havoc first rose to fame as a member of Queens, NY duo Mobb Deep. During this period, his signature production style was featured on recordings from Nas, The Notorious B.I.G., P. Diddy, Method Man, and many more. In his second decade in the business, Havoc also took up MC duties on his own solo releases and contributed production to 50 Cent. Now, approaching the 30-year mark in a career of highlights, Havoc’s sound can be heard on new tracks from Kanye West’s The Life of Pablo. 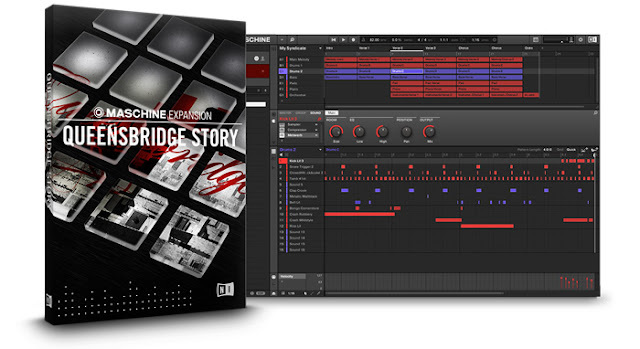 A compact version of QUEENSBRIDGE STORY is also available as an iMASCHINE Expansion, for creating beats on the go. Tracks can be exported to MASCHINE STUDIO, MASCHINE, and MASCHINE MIKRO for completion. QUEENSBRIDGE STORY is available now at the NI Online Shop for $49 / 49 € / £44 / ¥ 6,820 / AU$ 79 and runs in the MASCHINE 2 software. Anne Marsen Improv Dancing to Calvin Harris - "The Rain" from Anne Marsen on Vimeo. Las Vegas, April 20, 2016 – At this year's NAB, Sennheiser [Booth N5729] previews the new digital version of its MK 4, one of the audio specialist’s most popular recording mics. With high-quality Apogee A/D conversion and mic preamp technology, MK 4 digital connects directly to iOS devices, Mac and PC computers. The large-diaphragm MK 4 digital is the ideal partner for any mobile recording task requiring great sound quality with the typical warmth and detail of a true condenser microphone. April 19, 2016 - IK Multimedia, creators of the first sample-based virtual instrument, is proud to announce the latest version of SampleTank 3 CS, the free version of SampleTank 3. Now SampleTank 3 CS removes all limitations by unlocking the full software functionality including unlimited editing and import features. SampleTank 3 CS is a standalone player and plug-in that can be expanded with IK's Instrument Collections that are available at any time from the integrated Custom Shop: Everything from rare pianos to signature artist drums to the new Miroslav Philharmonik 2 CE collection. Legacy VIs, libraries and user samples can also now be imported without restriction. SampleTank 3 CS comes loaded with 30 free instruments, 1.8 GB of sounds, 81 MIDI patterns and 2 loop kits. Sebastopol, CA—April 15, 2016—Roswell Pro Audio® has announced the Aurora, a premium, all-purpose studio condenser microphone, featuring an unhyped and natural frequency response, high sensitivity, and low self-noise. 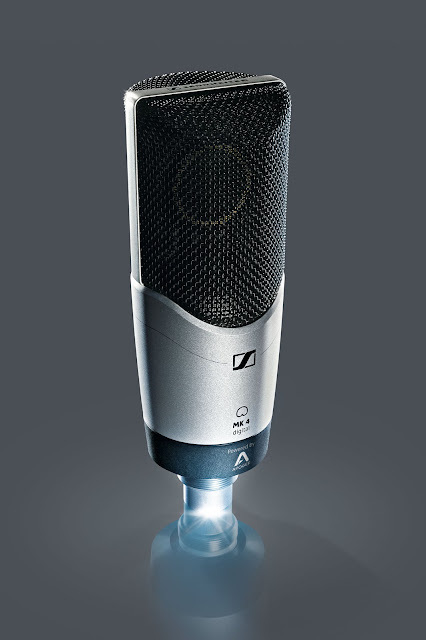 The microphone uses a highly optimized transformerless circuit, which provides a pristine, low-distortion signal path. Two switches provide a choice of Cardioid and Omni polar patterns, and a 10 dB pad. The mic has a frequency range of 20 Hz to 16 kHz, with a response curve carefully tailored to provide full lows, neutral mids, and high-frequency detail without sibilance. Its sensitivity is 40mV/Pa, with a self-noise level conservatively rated at 12dBA. 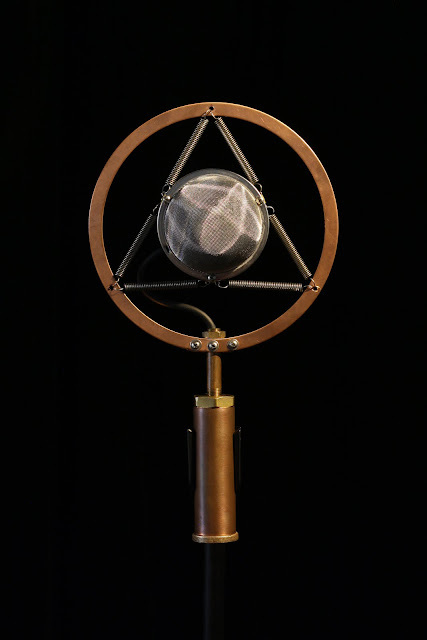 The mic’s 7.25ʹʹ x 2ʹʹ body is made of heavy brass, finished in black. The brass mesh grille is brushed silver. The microphone’s circuit is built by hand in the US, using the finest components sourced from around the world, including low-noise NOS transistors and audiophile capacitors. Each Aurora is assembled in California, burned in, and extensively tested after manufacturing to ensure the best possible performance. The Aurora includes an elastic shock mount, a vinyl storage pouch, and a compact flight case. April 14, 2016, PORTLAND, OR...Ear Trumpet Labs announces Josephine, the newest addition to their product line of microphones handcrafted in Portland, OR. 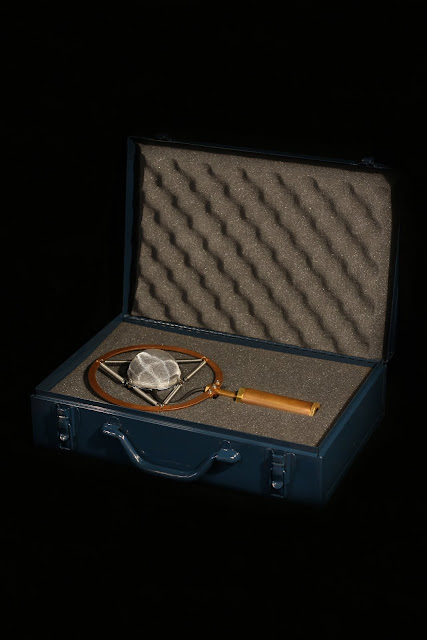 A medium-large diaphragm (26mm) condenser microphone, Josephine, is designed for live vocal and ensemble use, with an avant-garde styling evocative of 1930s and 40s classic microphones. Josephine is optimized for use by singers or acoustic ensembles from 6” to 48” away. The design, form-factor, and sound are ideal for period swing or jazz vocalists or single-mic techniques with bluegrass or traditional musicians, with significantly better feedback rejection than the large diaphragm condener's typically used in these applications. Frankfurt, Germany, April 7, 2016 — High-end clocking and conversion expert Antelope Audio [Musikmesse: Hall 9.1, Booth D33] is set to revolutionize the portable interface market with its most accessible and versatile recording tool to date: Zen Tour. 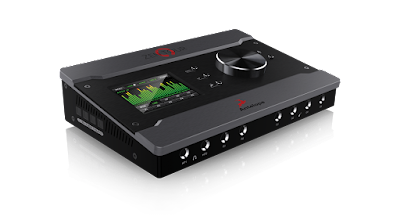 Zen Tour, which debuts at Musikmesse, features an ultra portable form factor, Thunderbolt™ and USB connectivity, 8 analog inputs and outputs, high-end DSP effects, hardware-based guitar amp/cab simulations and more — making it the ultimate creative recording tool for musicians and bands. With Zen Tour, there are no more boundaries to achieving great recordings. Explore the Many Immersive Micro-Environments of California’s Legendary Lightning in a Bottle Festival! Immerse Yourself - Lightning in a Bottle 2016 - Way out west, in the midst of the beautifully-crafted mischievousness of Do LaB’s Lightning in a Bottle music and arts festival lies a myriad of sanctuaries that play host to the curious and curiouser intricacies of the transformational gathering. 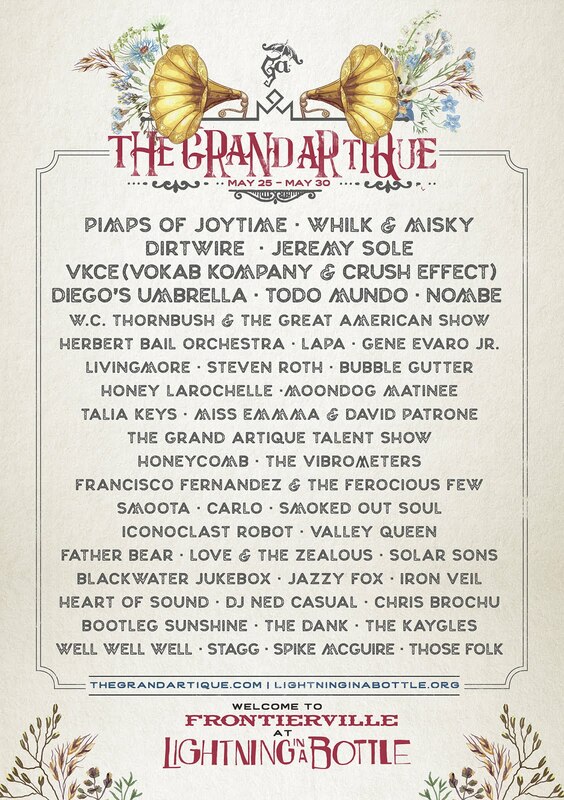 Trailblazers who wander off the beaten festival path may find themselves transported into the many weird and wonderful realms nestled on the grounds of LIB, each micro-environment ripe with exciting expansions, new offerings, and scintillating music for 2016. Step into the vintage portal between the Temple of Consciousness and The Village, and immerse yourself within the Grand Artique’s famed Frontierville - an ode to the boot kickin’, gallivantin’, rompin’ and ragin’ days of yore. The latest updates to Frontierville will include the renovation of the Grand Artique’s Live Music Stage, now dubbed The Mission Stage. The stage will play host to a multifarious selection of the finest entertainers around including VKCE (Vokab Kompany x Crush Effect), Whilk & Misky, Dirtwire, Pimps of Joytime, NoMBe, and Jeremy Sole who will take his audience on a sonic trip through the past, present and future of Roots music during a very special 11am Sunday Revival. The Mission Stage will be rockin’ all hours during the festival so stop in for an afternoon delight, or for the most amusing of after-hours (full lineup below). Also found with the Grand Artique are a tipsy Gypsy Encampment host to mischief and mayhem, Boss Whispers’ General Store & Trading Post, Skinny DeVille’s Bar (a rare blend of theatrics and deviant mixology), and The Poison Oak Hotel, a two-storied structure with an enormous fire and improvised melodies. 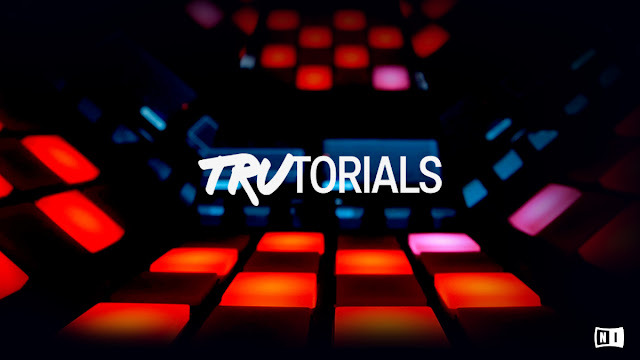 Berlin, April 11, 2016 – Native Instruments today released the second season of TruTorials – the short video series featuring key MASCHINE workflow tips presented in a fresh, inspiring format. After the success of Season 1, TruTorials Season 2 explores even more hands-on MASCHINE techniques that are as engaging to watch as they are educational. In each episode, a pair of hands guides the viewer by performing simple, useful techniques that appeal to MASCHINE music producers of all styles. 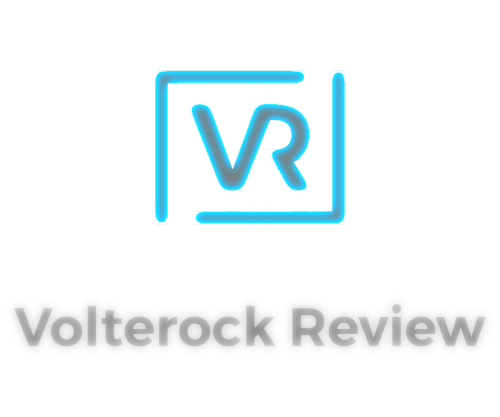 And along with the help of animated text, these videos teach and inspire in less than 90 seconds per episode – without the use of a traditional voice over. The twelve new TruTorials episodes cover more music production skills ranging from essential workflow tips to exploring more creative ways of making music with MASCHINE. The opening Tweak Your Steps episode for example, shows how to modulate effects in perfect sync with MASCHINE’s Step Sequencer. Next Please! explores how exchanging drum kits quickly can provoke ‘happy accidents’ that create some surprising results. And Put Your Hat On shows how to synchronize a hi-hat pattern from MASCHINE with the flagship TRAKTOR PRO 2 DJ software – all just highlights from this season. 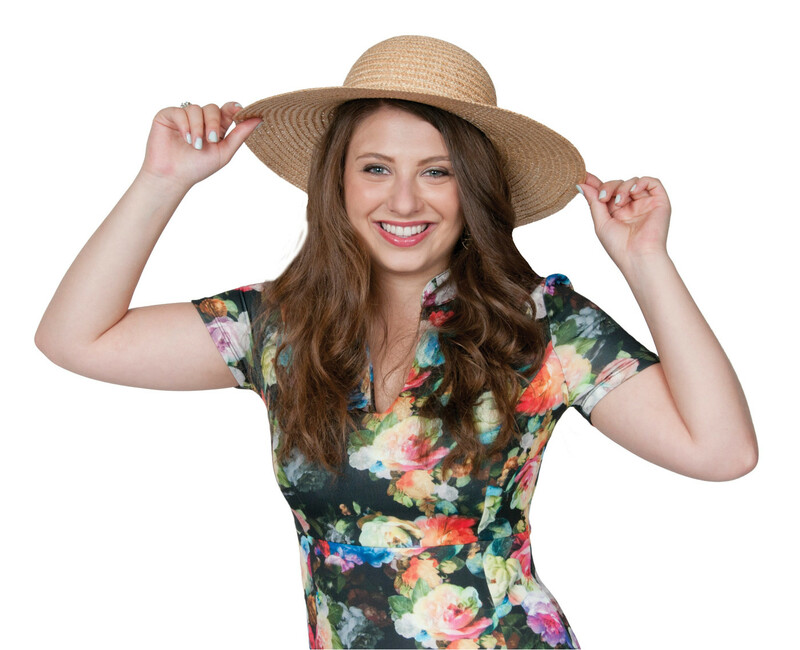 All twelve Season 2 episodes are now available to watch online. Frankfurt, Germany, April 6 2016 — At this year's Musikmesse, leading professional audio manufacturer Antelope Audio [Booth #33D, Hall 9.1] is shaking up the world of professional interfaces with its new Goliath — a towering innovation with 36 analog inputs, 32 analog outputs, 16 Class-A microphone preamplifiers and Antelope's renowned clocking technology: all packed within a 2U rack space unit featuring Thunderbolt, MADI and USB connectivity. Goliath offers two MADI ports with a total of 128 MADI channels or 64 channels per port. Old Lyme, Conn., April 6, 2016 – At prolight+sound, audio specialist Sennheiser will preview the HandMic digital, which transforms any smartphone or tablet into a professional recording tool for vocals and speech. Highly resistant to cell phone interference, the cardioid dynamic handheld microphone is ideal for mobile journalism, podcasting or vocal and instrument recording. 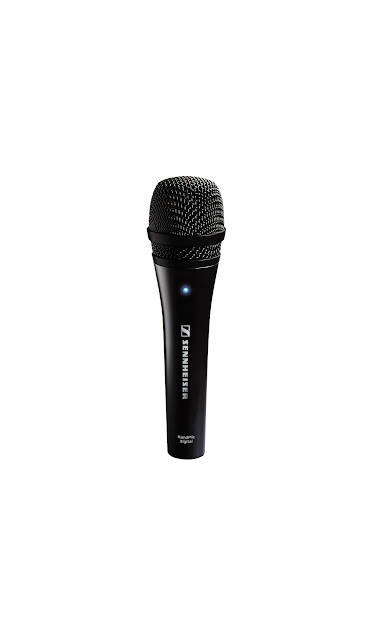 It offers all the benefits that users have come to expect of a typical Sennheiser microphone: great sound quality and presence, high feedback rejection, and excellent suppression of handling and wind noise. 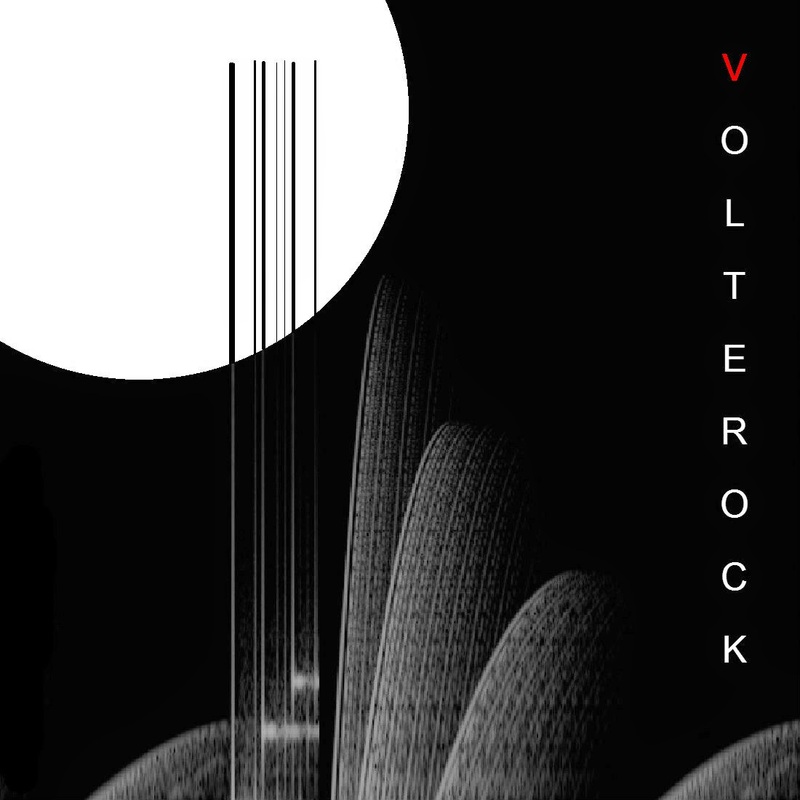 An Apogee A/D converter and pre-amp translate these qualities into the digital realm. The HandMic digital will be available from the third quarter of 2016. Now players, composers and studios on a budget can experience the full power and expressiveness of the most emotional "new orchestra with legendary soul" with Miroslav Philharmonik 2 CE "Classik Edition" for just $/€99.99. April 6, 2016 - IK Multimedia announced today the release of Miroslav Philharmonik 2 CE "Classik Edition" for Mac/PC, a lower priced, fully featured edition of the recently released Miroslav Philharmonik 2. The new orchestra with legendary soul, Miroslav Philharmonik 2 CE features over 730 instruments, multiple articulations, a 10GB library, over 30 professional quality effects, 3 powerful playback engines, a synthesizer section, a built-in mixer and a whole lot more all for an introductory price of $/€99.99. Miroslav Philharmonik 2 CE is a complete lower priced orchestral virtual instrument designed to deliver the full power of Miroslav Philharmonik 2 to players and studios on a budget. The CE version offers the same engine and features of Miroslav Philharmonik 2 and provides a 10GB library of orchestral instruments covering all of the instrument categories found in the full version. Mouthbreather is simply the quickest way to add crunchyness, warmth or air to you sounds, to give your piece a more dirty/vintage flavor: the results are always high-quality, but they vary a lot according to the input sound, ranging from small vinyl crackles to huge distorted guitars, not mentioning the filthy dirty dubstep/dnb sounds you can get. MONTCLAIR, N.J. (April 4, 2016) -The Complete Singer-Songwriter is the ultimate guide for the modern performer, chock-full of tips, tools, and inspiration for both aspiring troubadours and those looking to take their craft and career to the next level. Author Jeffrey Pepper Rodgers draws on firsthand interviews with songwriting legends and rising stars; expert advice from managers, agents, lawyers, and publishers; and his own experiences as a performing songwriter. 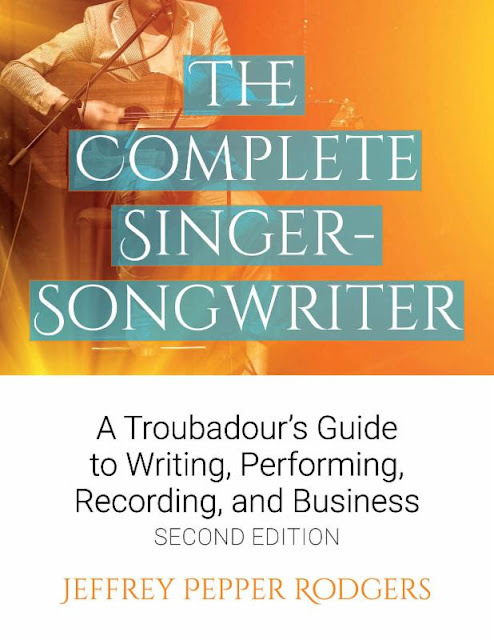 He offers this invaluable companion for singer-songwriters on their journey from idea to song to the stage, studio, and beyond. 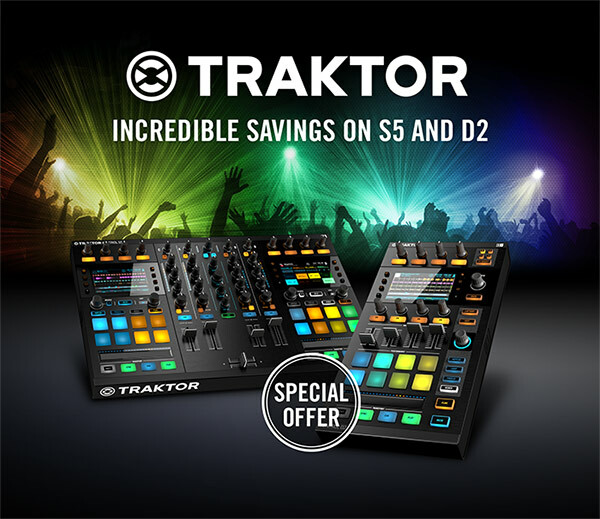 Berlin, April 4, 2016 – Native Instruments today marks the first year of the Stems multi-track format for DJing with savings on the Stems-ready TRAKTOR KONTROL S5 all-in-one DJ system and TRAKTOR KONTROL D2 professional deck controller. Until May 31, 2016, DJs can save 200 $/€ on the purchase of each of these controllers to upgrade their setup and explore the possibilities that mixing with Stem files offers. Since the new format was announced on March 2015, Stems-ready hardware like the S5 and D2, enhanced TRAKTOR software support, and thousands of official releases on a growing repertoire of labels have contributed to the expansion of Stems. 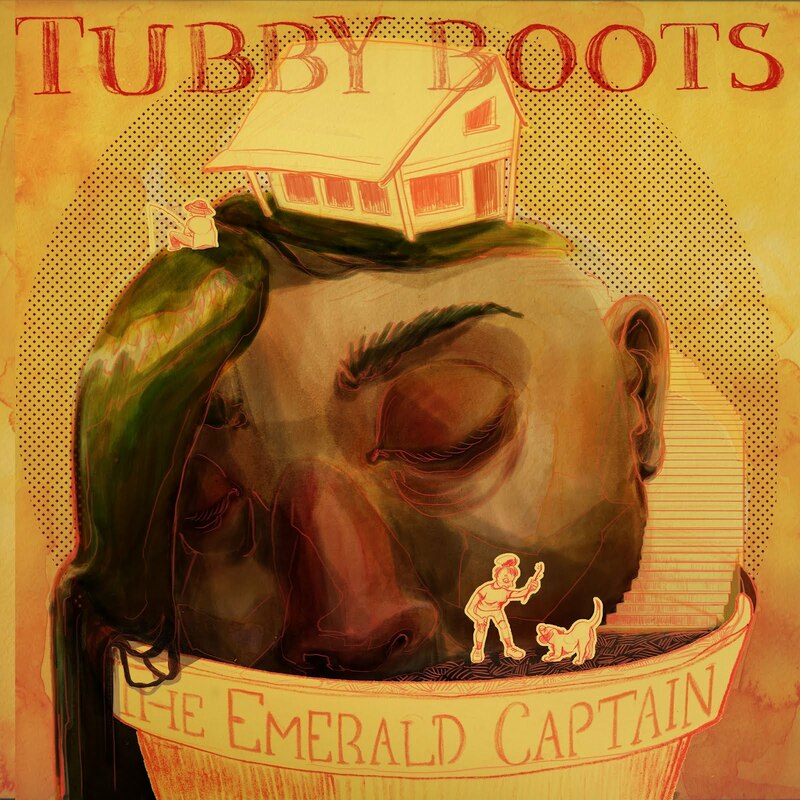 Tubby Boots Has Released Their Debut Album, "The Emerald Captain"
Tubby Boots' debut album, "The Emerald Captain," is self-released today on bandcamp, encompassing eleven tracks of rock, alternative, indie, noise, and punk.